There’s no question that the best way to see Ireland is on a self-drive roadtrip and recently I checked this bucket list item off my list. However, with so much to see in this beautiful country, how do you figure out the best route? 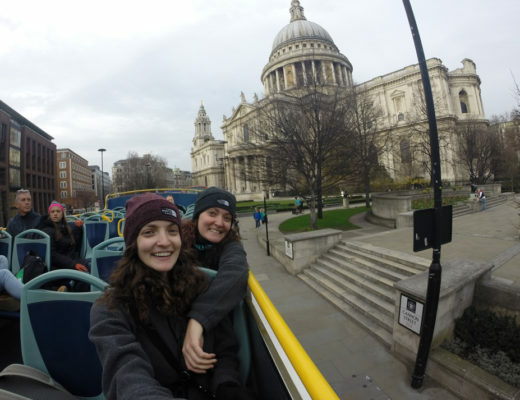 After doing lots of research and looking at other recommended itineraries we came up with a game plan and booked our accommodations that we’d have along the way. Then of course, we left time for just getting lost and exploring on route because you never know what you’ll find driving through Ireland. Here is what I’d recommend if you have a week to roadtrip across Ireland. 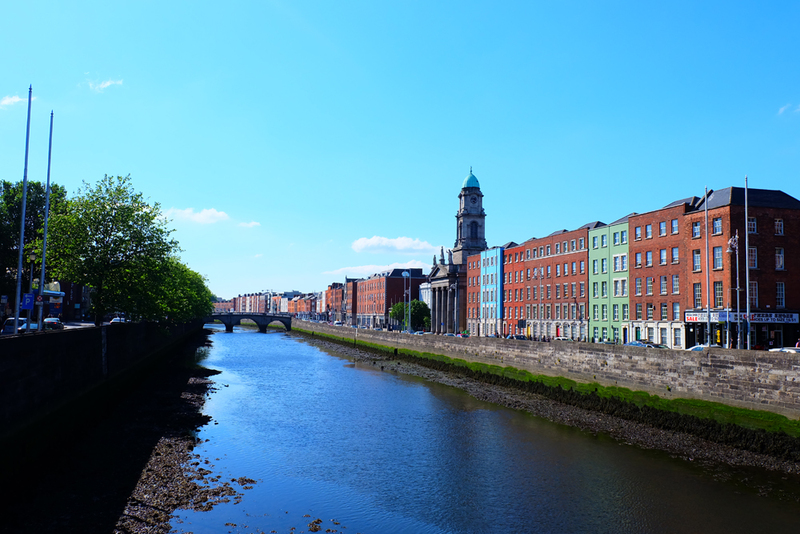 Although Ireland has a few international airports you’ll likely fly into the capital city, Dublin. When you get to Dublin I recommend picking up your rental car (we booked with Dooley Car Rentals) and drive directly to Galway. The reason for this recommendation is that Dublin is a busy city and is an annoying place to get around via car, therefore you can ditch your rental car early at the end of the trip and conquer Dublin without a car. The drive from Dublin to Galway is about 2.5 hours and is fairly easy. We opted to not pay extra for the GPS in the rental and used MAPS.ME for navigation which doesn’t require you to have WiFi or data, you just need to download the country/city maps prior. Once you get to Galway, depending on the time of day, you may want to explore some of the great things the city has to offer. 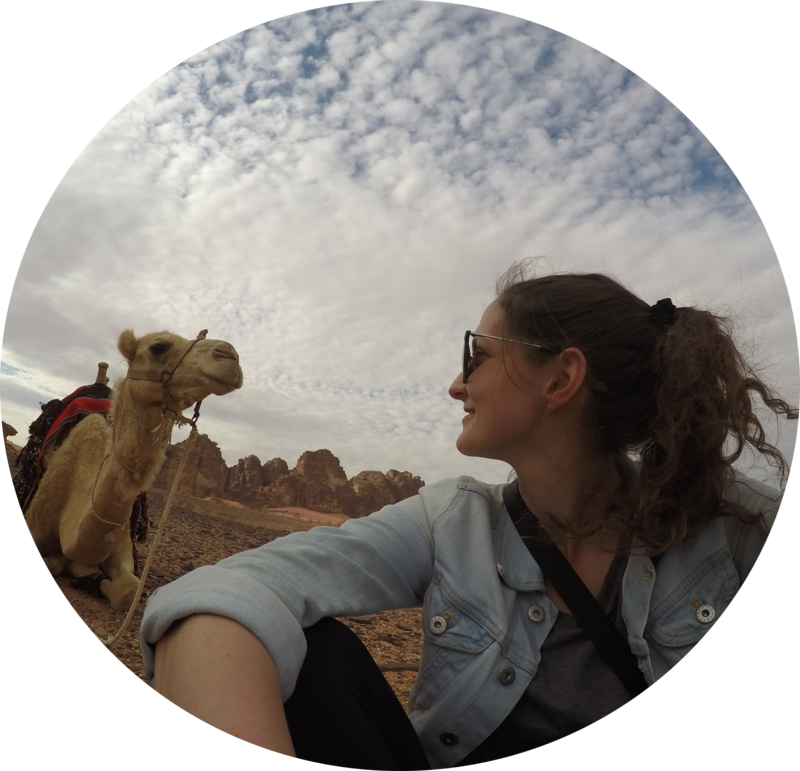 I put together this blog post which lists some of the highlights. 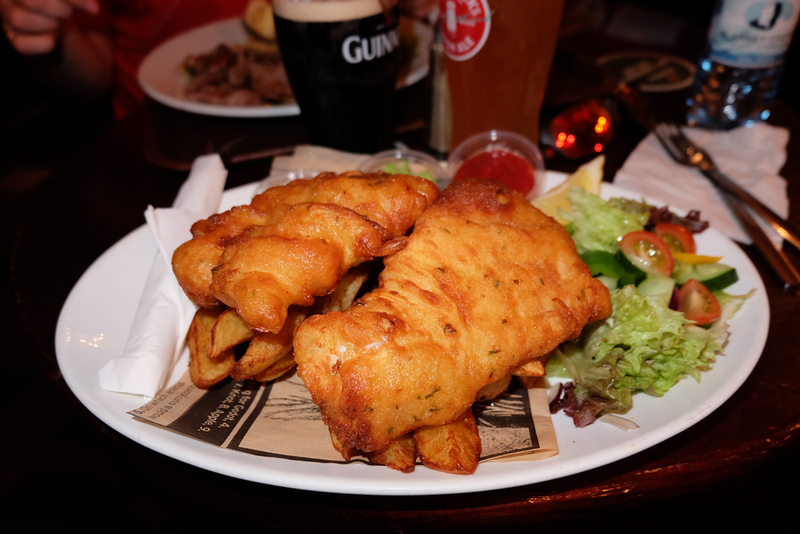 If you’re looking for somewhere to eat, opt for one of the many pubs or head to McDonagh’s for fresh seafood. 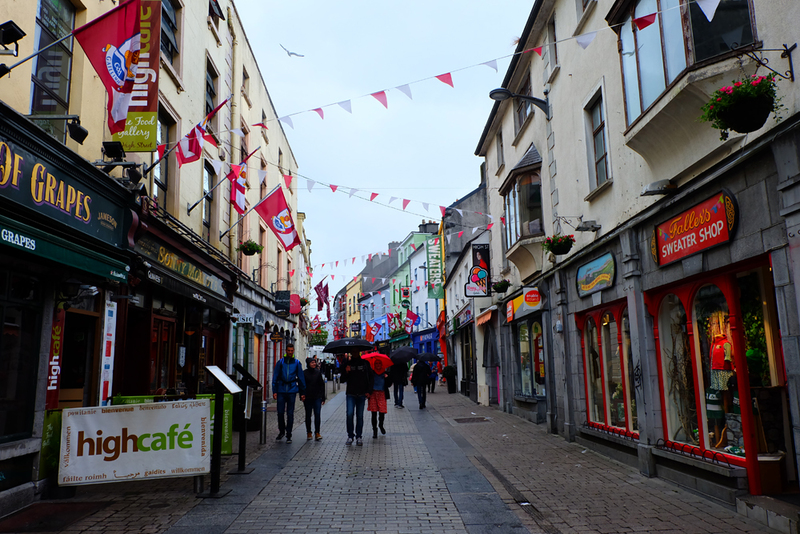 Quay Street is lined with restaurants and pubs to choose from. If you’re looking for a place to stay in Galway I suggest Teach Na Coiribe B&B outside of the city centre. After you’ve explored Galway head out on your drive along the Wild Atlantic Way which is an incredible coastal touring route that will take you through nine counties. Drive it on route to the Cliffs of Moher and stop in some of the small towns you’ll hit along the way. 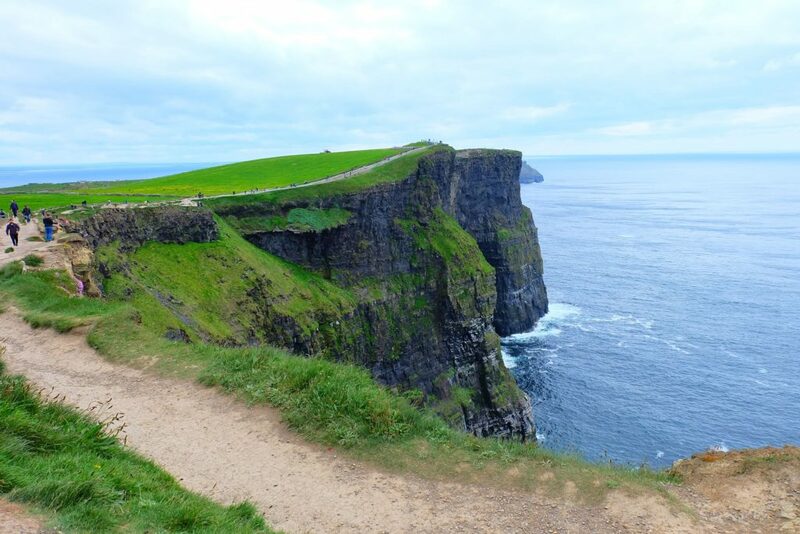 Once you hit Cliffs of Moher which is only about a 1.5 hour drive from Galway (although I do suggest not driving direct and making stops along the way), take your time exploring the towering cliffs. These cliffs rise 120 metres above the Atlantic Ocean. Take your time walking around the coast and enjoying the views. Next end your day in Doolin which is a small village located about a ten minute drive from the Cliffs of Moher. 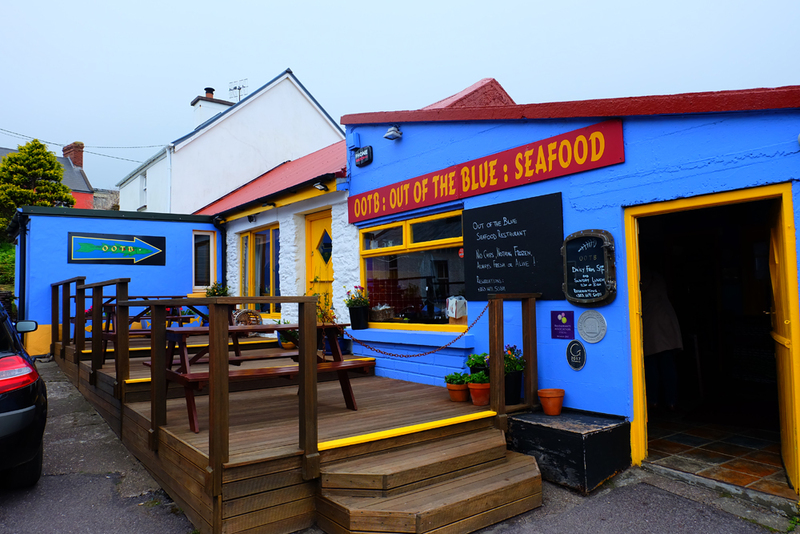 Doolin is a tiny town full of Irish charm and is a great home base for the evening. 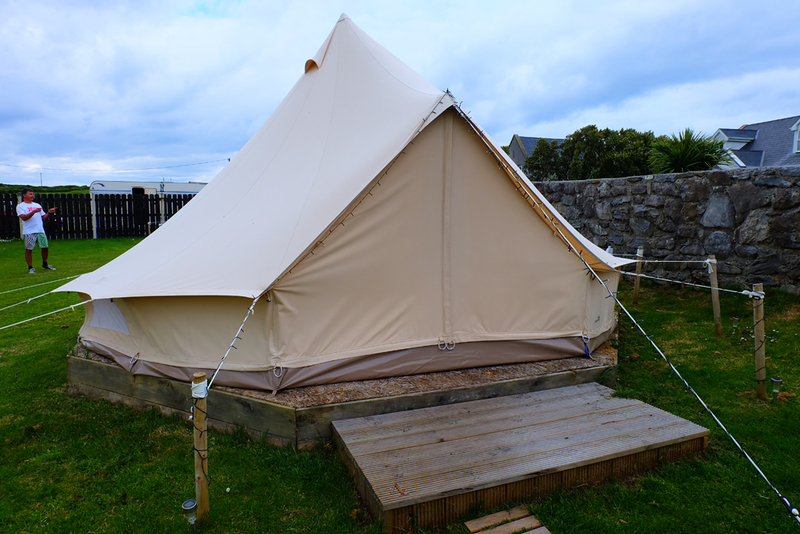 If you’re looking for unique accommodations I recommend Doolin Glamping. Once you arrive and check-in, head out to explore the charming town of Doolin. 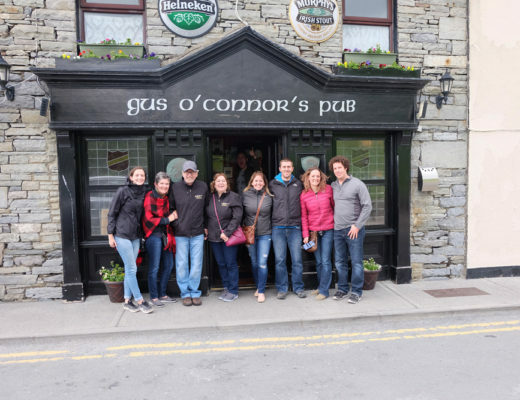 You won’t want to miss a stop at Gus O’Connors for fresh fish and chips and traditional music before heading off to visit some of the other pubs in town. For a list of the pubs I recommend visiting and my pub crawl route, click here. Wake up early to head to Lisdoonvarna which is a short drive from Doolin. This town is the perfect spot for breakfast and is home to only 740 people. 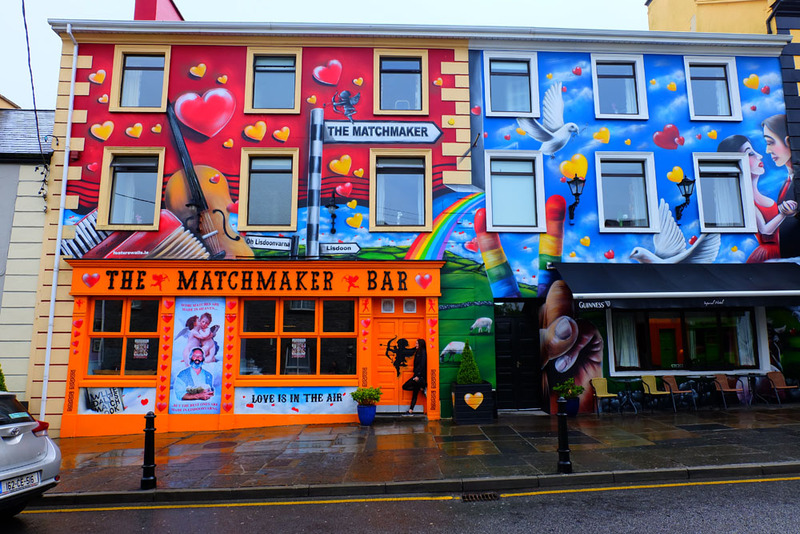 Lisdoonvarna is famously known as the matchmaking town as they host a matchmaking festival that brings thousands to the town each year. Stop for breakfast then head out to your next stop on your road trip, Dingle. 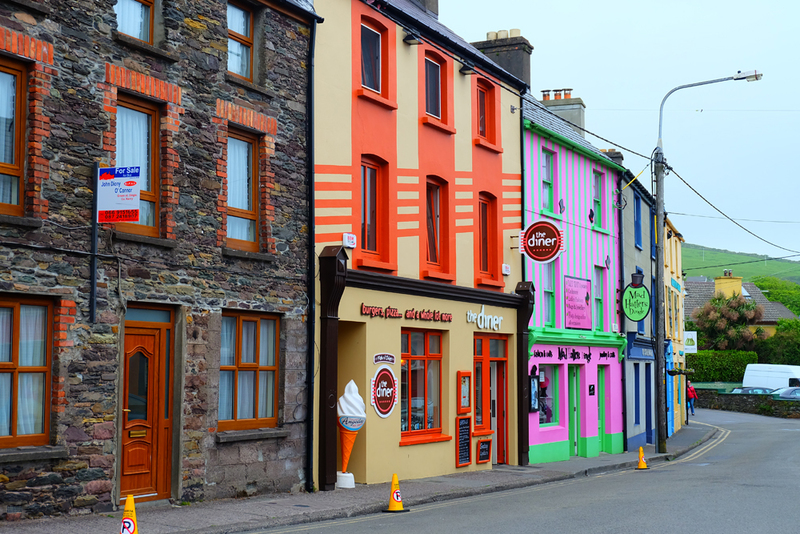 Dingle is located about three hours from Doolin and is a small fishing village along Ireland’s Dingle Peninsula. On your drive, stop along the way in any of the small towns and allow yourself to get lost, because when in Ireland, you won’t regret it. For dinner make a reservation at Out of the Blue, a fresh seafood restaurant near the water that changes their menu daily based off the morning catch. 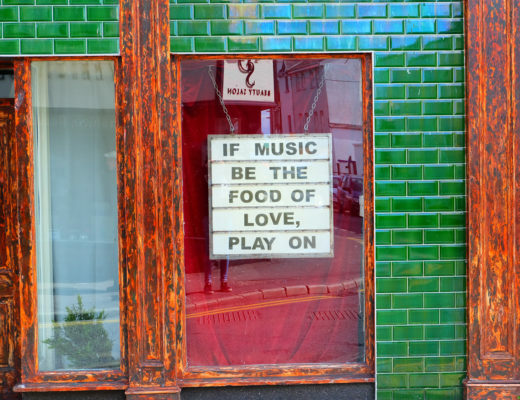 Then head out on a pub crawl because even though Dingle only has a population of under 2,000, they have over 50 pubs and many that are rich with history. You can check out my pub crawl route for the best places to go here. 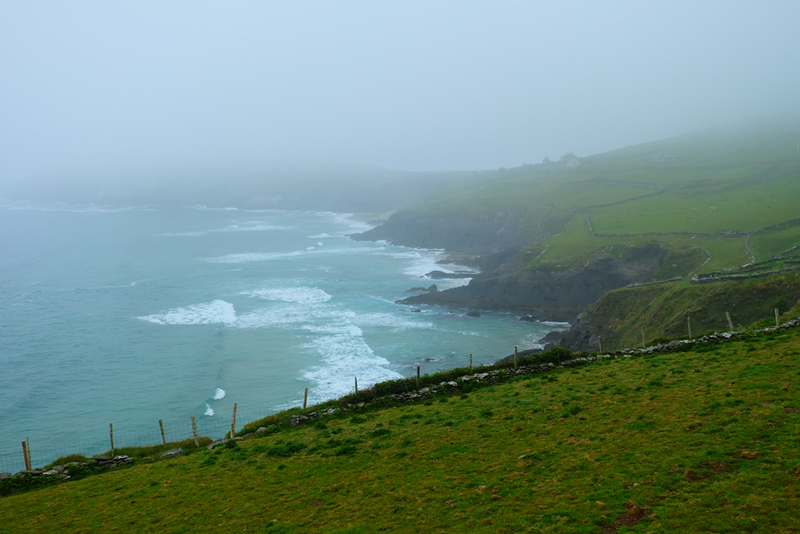 For how to spend two full days in Dingle, here’s my detailed sample itinerary. Day two in Dingle, head out early for a drive along the Wild Atlantic Way. Dingle has two popular options for the perfect drive. The first is Slea Head Drive and the second is Conor Pass choose which route interests you. The town has signs for each and it’s important to ensure you drive in the right direction of the “loop” these drives take you on as the roads are narrow and you’ll seriously mess with traffic if you get it wrong. As you drive these roadways enjoy the view and make stops along the way at some of the points of interest. Expect to spend a good chunk of your day on this journey before heading back to Dingle for the night. Wake up and head towards Cork stopping in Killarney on route. The drive from Dingle to Killarney is about one hour from Dingle and is absolutely stunning. Spend your day exploring the famous national park. The park is huge and has lots of points of interest but we decided to stop at Ross Castle, Muckross House and Gardens, and hike to the Torc Waterfall. 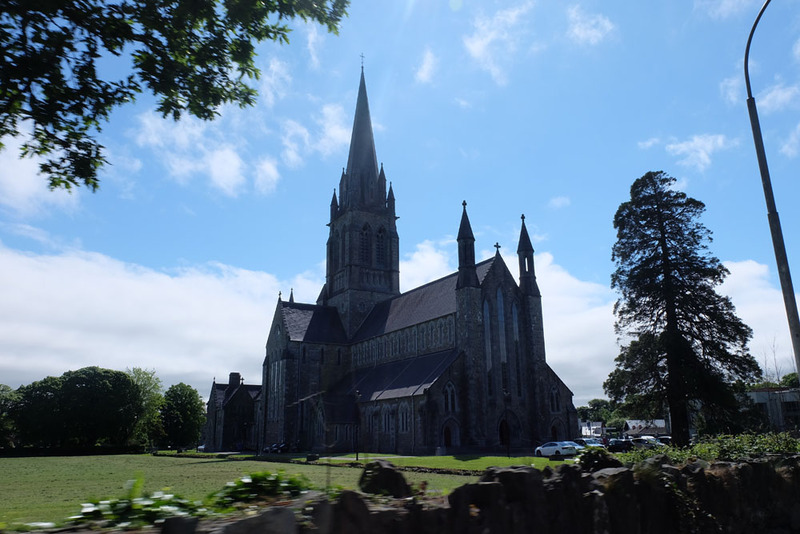 After our visit, we headed onto Cork. 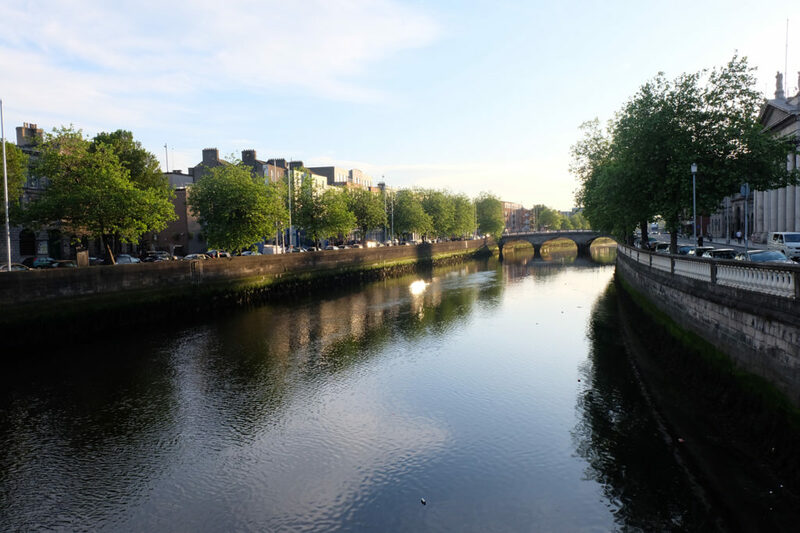 Cork is an hour away from Killarney and is a university city that is full of beautiful buildings and will take you back into the city life of Ireland. Head out to visit some of the local pubs such as The Franciscan Well which brews their own beer then head for dinner. We rented apartments at College View Apartments which were small but perfect for the night. In the morning, wake up and head to Blarney Castle before making your way back to Dublin. Blarney Castle is located just outside the city centre of Cork and dates back to before 1200. The castle itself I didn’t find that impressive but you can opt to wait in line to kiss the famous Blarney Stone. However, we decided not to do that but to explore all the beautiful grounds the castle sits on. The Blarney gardens are absolutely sensational and worth a visit in itself. 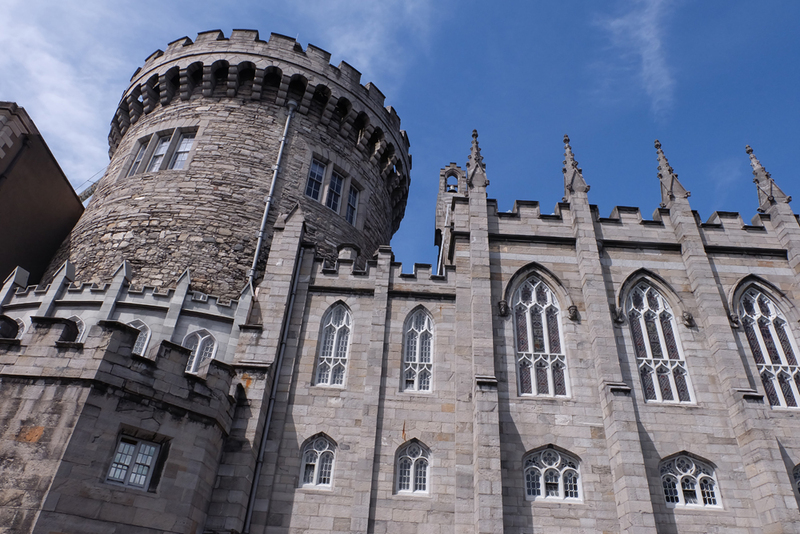 After your visit, continue onto Dublin. You’ll want to head to the airport to drop off your rental car and make your way into the city centre. The drive from Blarney Castle is just under three hours. Once you get rid of your rental, the taxi back into the city should be around 20-25 euros. There is also public transportation you can opt to take too. Once you reach the city centre and are in your accommodations head out to explore the city. I’d recommend to start your exploring by heading to the Old Jameson Distillery that is although no longer the home of where whiskey is currently being made, they’ve converted it into an incredible experience for you to learn more about this famous beverage. Although I’m not a whiskey lover I absolutely loved this experience and would even recommend it before the Guinness tour. Next head for dinner at O’Neils where you’ll find one of the best buffets you’ve ever seen. I know a buffet sounds unappealing but trust me with this one, you won’t regret it (and come hungry). Now that your belly is full, head out on a pub crawl because with all the pubs in this city it’s going to be the best way to see as many as possible. You can check out my list here on where to go. 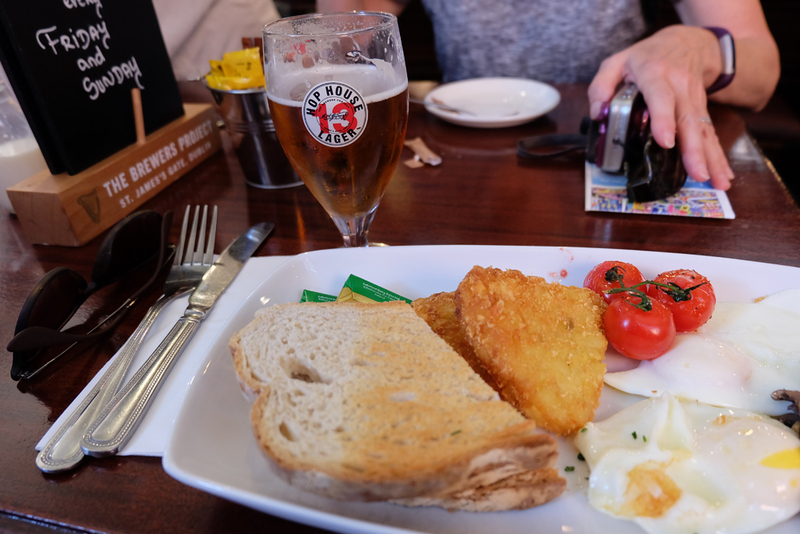 Stop for lunch (or dinner) at Porterhouse that rocks a MASSIVE beer list and great pub food and get lost in the beautiful capital city of Ireland before it’s time to head home! Share some of your highlights from Ireland in the comments to help other travelers! Hello! I love your blog post and the links you added. I have a question: Do you think this itinerary is doable in middle to late November? Thanks for the information! Can’t wait for our trip!